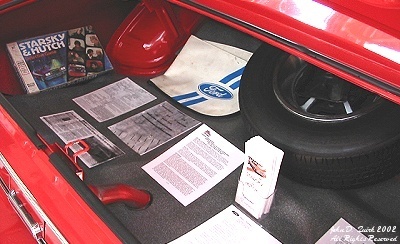 We typically display stuff in our trunk, like S&H games or toys, and articles and paperwork concerning the factory S&H units. The trunk mat is grey speckled, a nice reproduction of the original, which we had but it was in very bad shape. Since this photo was taken, I've painted that gas pipe black, and it looks much nicer that way.